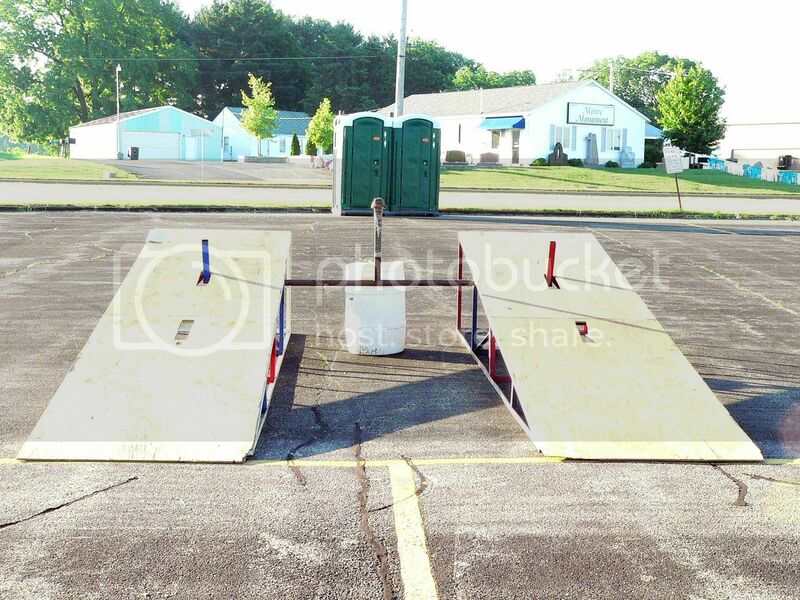 Show off photos of your cubmobiles, starting ramp and race course. Has anyone started building their 2007 car? Anything different, interesting or new you are doing this year? Pictures? We are currently working on our PWD cars, but we have plans for our cubmobile car. Since I don't need to build ramps this year, we should have more time to build our car. We do need to fit time for a Soapbox Derby car though. It's always busy around here. Okay, I know several of us are working on PWD cars, but no one has started or thought about their son's cubmobile car? This year the car is for my soon to be 7 yr old. He likes green, while his older brother likes orange and had a orange car last year. We discussed a paint job that has black, green (several variations), and chrome(silver). We will probably keep a similar style car as last year, with only minor changes. We'd like to lighten up the front and keep the back heavier. We also plan to keep the car very low and will probably add a little more rear body work to show more paint, and maybe a number/name. Okay, maybe not...but it would make for some interesting conversation. Wow, I could have used a set of those for my truck the other night. Mrs. Bubba hit a patch of ice with the truck at about 25 mph and did a 180, crossing over and sliding backwards down into a ditch on the opposite side of the road. She called me on the cell and I went a got her, but a set of those on the truck would have made for a much easier "climb" back onto the roadway. Everyone's fine (including the truck). Thank God for no oncoming traffic, good ground clearance and a cell phone. p.s. Yes, I still let her drive it. I would very much enjoy to see some 2007 CMB car pictures posted. I will not be doing a new car this year. Next year though as my youngest will be able to be in the race. 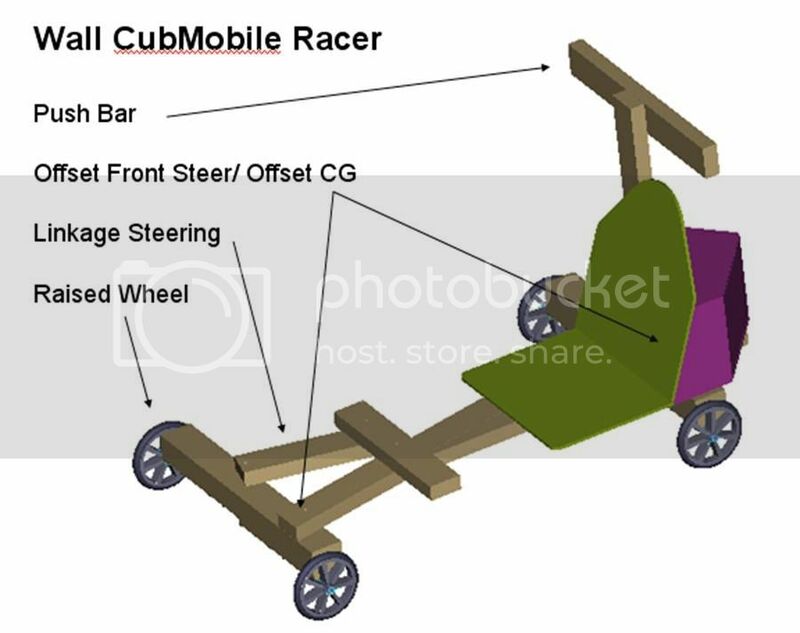 However, I am hoping to do some more research on the exsisting three Cubmobile I have already built. Thr kids like to run them on a hill I go and test at. Which always makes for a good time to do more testing. I have some ideas and products I want to try out and see if forward progress is made. We are taking the complex steering off last year’s car and going back to a much easier to operate foot steer. 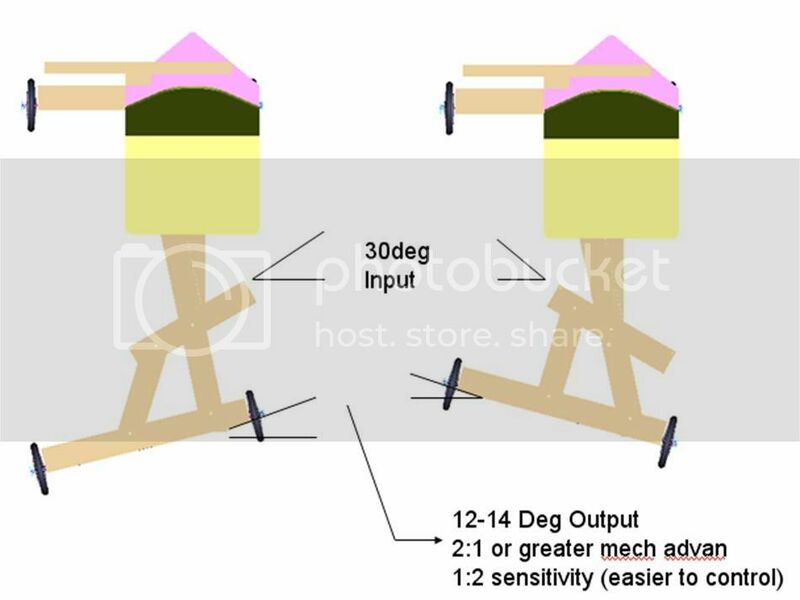 The complex geometry of the hand steering would have worked if made of good materials with bearings or lubed bushings at the pivot points… but of wood and bolts, it binds and thus is hard to operate and twitchy. We also are going to mod our wheels by removing the bearing seals, flushing the grease and using WD-40. This will require us to buy a new set of wheels so we can continue to ride it during the summer months on our evenings walks (2-3 miles). I doubt WD-40 will provide proper lube for long walks. Question: with WD-40 as lube and no grease, I anticipate have to lube and lightly break-in the bearings after each CMB heat. Does anybody have experience to this end? Here is my sons 2007 Cubmobile. He races next weekend. Basically the same as last years, but tossed on some new paint and decals. Worked on the wheels, cleaning the bearings and getting them back to par. Sporty love the car. Does the back section have some pratical use? I am talking about the wood behind the seat. Curious. I wish our pack did cubmobile races. During the summer would be the perfect time. The wood is for strength and support of the seat. Thanks guys for the kind words. So do they take all the kids up on a hill and run them just like a life size pinewood derby? Do they usually time them or just run the kids against one another? Sorry about the dumb questions but this is completely new and don't know anything about it. 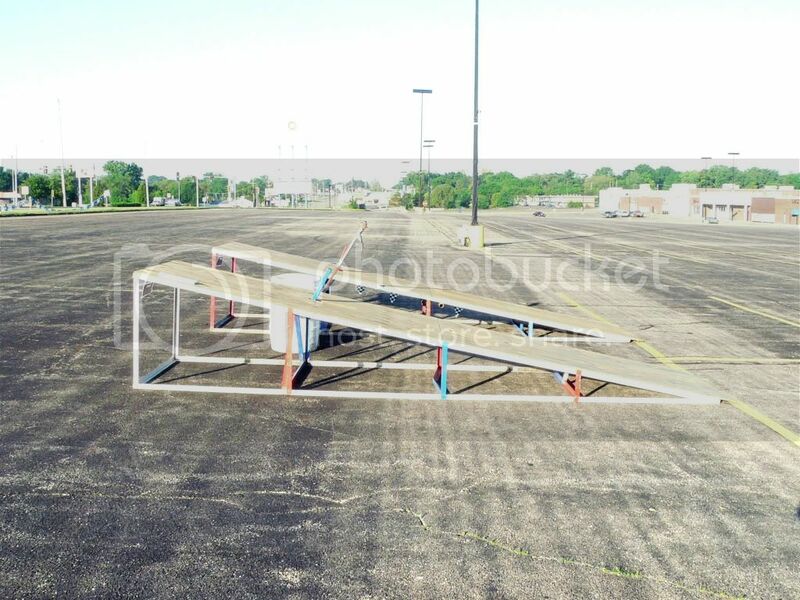 We have a pretty big ramp built by Home Depot every year at District, a lot of folks show up, see the ramp and leave. It is a bit on the big side and we are working to get a smaller ramp for next year. Our Pack also started a ‘fun run’ where we simply give the kids a push through a parking lot, no times, no racing… no prizes… just 3 hours of riding… siblings, friends, parents and anyone who just shows up gets to ride their choice of any and all the cars that show… we had 8 cars this year… 3 of them built by ME… one is donated to our Den from 2 years ago, 2 are still ours. The main issue, which has been discussed here alot. Is there is no consistent set of rules at the local pack level. There is however, the cub scout guide book. Which has information on how to put on a race, things you will need and even some specs for the race track and ramp. The basic cubmobile info is in there also. Some packs run a 100 foot length track, some run 150 foot length track. Some run using hills or just ramps or in combination. As long as the Cubmobile is not going faster than 16-20 miles per hour. It will be okay. Provided all the safety devices are on the Cubmobile. I have found, that off the ramp, they get a initial boost upto 16 miles per hour and by the end of the track they have slowed down to about 3 miles per hour. When they cross the finish line. I feel, that a set up like this is ideal for the younger kids and reduces any risk of injury. Not alot of kids at the tiger level can handle a constistant speed of 15 miles or above. The steering was just not designed for it. They also have a open class, if you stroll through the web. You will find ones with bodies and different shapes, wheels and styles. From what I have heard their will be about 40 kids at this race this year. I have seen as many as 60 kids race. 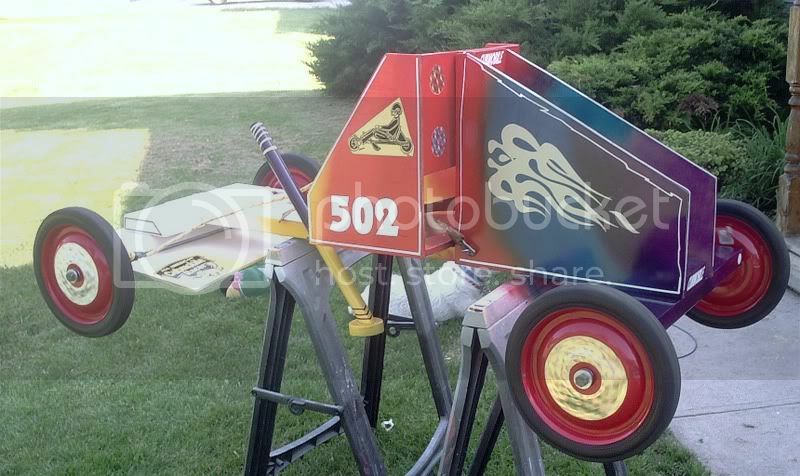 To give you a idea, The local Soap Box Derby race, will only have 38 cars this year. Last year they had 36. So Cubmobile is a big turn out event. When compared to Soap Box Derby at the local level. One thing I will point out is any ramp should have side bars to prevent a car from running off the side (tall sidebars preferred). 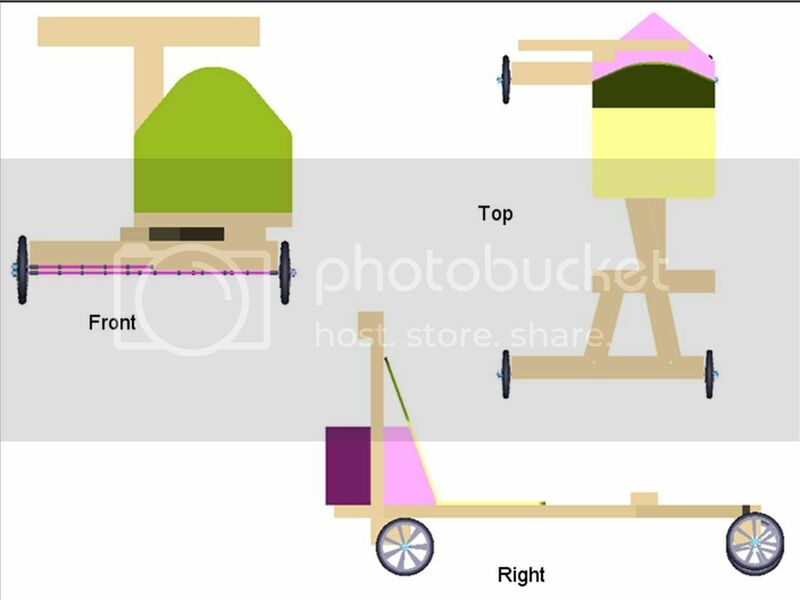 If 2 cars race at a time, some type of barrier should be between the lanes all the way down… ditto for both sides of the race track (to keep cars from running into the spectators)… it takes a lot of hay. I would suggest a max safe speed, based on experience of less than 16MPH… I would say 10MPH is an upper limit… that is about my max running speed on foot while pushing a CMB and I managed to wreck an adult by panicking him with a sneaky push this Saturday… I didn’t exceed 10MPH without a doubt and he flipped hard. I wish sides were on the ramps. It's one of those things, where the pack was loaned them to use 6 years ago. So last year, when I was co/ chair of the event. I wanted to add them. But they were not the packs property to do so. They also were loaned a tree light, which runs off a car battery. And two lasers for each lane. When the winner trips it, the two green lights go off on the winner's side. We have used hay bails or 4x4 8 foot long posts to create the divider lane and two outer lanes. Hay bails after the finish line, for a stopping barrier.